These pieces from American Eagle have a nice, fitted shape and seeing as how they're currently on sale for $24.95, I might have to buy two. Anyone else craving the some soft flannel coziness? i was pretty mortified to learn that the pearl jam look is coming back. but i am warming up to it. it can be done well. it is possible. i love all this plaid flannel, i'm not going to lie! when it's outfitted with something a bit unexpected (say, something a bit glamorous), i like it even better. pity, it's too warm where i live. still, i've saved a couple of old flannel shirts for travels to cooler climes. great blog, by the way- found you through Plush Palate! These look comfy :) Also, just saw your post on Plush Palate- bravo! Ooh I bought one of these full price and I LOVE it! Will definitely have to go back and buy another now! Thanks for the heads-up! I think this Southern gal can rock a flannel in SF, non? Totally just put one on my xmas wish list two days ago...love them. Plus I just moved from Seattle to the country, so it seems appropriate. Oh I really like the dark red one. I need to hit up AE soon. I'm not usually a huge fan of plaid, but these options look cozy! and a great price too! These are so cute. I've to pin a collection of sparkly brooches on them to make them a little less lumberjack-esque! Oh, yes please. I will take a few as well. 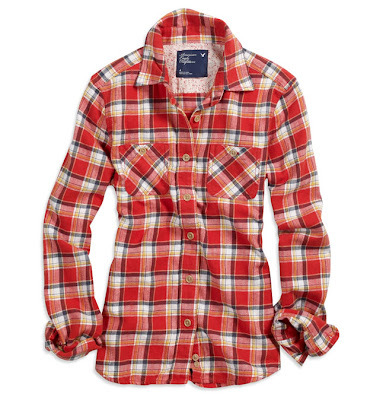 I love comfy stuff, and I love plaid, so flannel=perfection! great post! I'll take one of each :) love your blog! love the fitted look and of course plaid!! i will wear, especially that last one! I love flannel...even on beddings for winter. The more washing the softer they get...cozzzzy! love flannel. I just got some nice, cheap gray and white striped flannel I want to make into a skirt. Seriously didn't realize how much I needed flannel till now... I ♥ these shirts! Such pretty feminine shapes and colors. Must get. haha... I just read drollgirl's comment and realized that the last time I wore flannel was sometime in '93... so funny, it was red. But I still want one. ok, this makes me feel old, because i actually remember flannel, as opposed to most 80s inspired trends. however, and this is a big however, i love flannel. i embrace flannel. the practical side of me buys flannel sheets and pyjamas (which i still have to this day even though i am in CA, thankyouverymuch), but i really can't think of anything more comfortable at the moment than a flannel shirt. even if it reminds me of my grandpa. 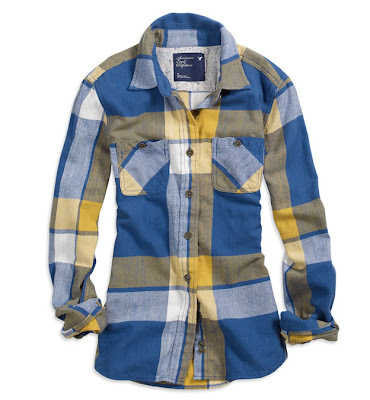 please let us know if you find any other stylish flannel shirts! 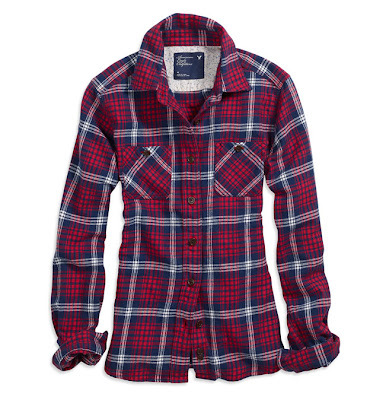 Its rainy and a little chilly here right now and I would totally love some flannel right about now. Love your picks! I love the yellow and blue one. The fit definitely looks good too - thanks for point them out! These shirts look so so cozy, it is rainy and gross here today and I would love to curl up in the blue and yellow one to brighten the day! Happy Wednesday! these are so cute! perfect for an off day when i don't want to dress up. Ooh these are cute! Thanks for the heads up! I refused to go there for so long since flannels bring back 7th grade flashbacks but these are too adorable!